Scientists at the University of Washington School of Medicine in St. Louis have devised a new metagenomics shotgun sequencing approach that they believe has the capacity to detect virtually any virus that infects people or animals. Thousands of different viruses are known to cause illness, but making a diagnosis can be an arduous task requiring a battery of different tests—mainly due to the insensitivity of current methods to detect low levels of viral genetic material. Researchers found that with their new test, which they have dubbed ViroCap, they can detect viruses not found by standard testing based on genome sequencing. The new test could be useful for detecting outbreaks of pathogenic viruses such as Ebola, Marburg, and severe acute respiratory syndrome (SARS), as well as more routine viruses, including rotavirus and norovirus, both of which cause severe gastrointestinal infections. ViroCap sequences and detects viruses in patient samples and is just as sensitive as the gold-standard PCR assays that are widely used in clinical laboratories. However, even the most expansive PCR assays can only screen for up to about 20 similar viruses at the same time. In the current study, the researchers evaluated their new method in biological samples (blood, stool, and nasal secretions) from patients at St. Louis Children’s Hospital. In one group, standard testing that relied on genome sequencing had detected viruses in 10 of 14 patients. But the new test found viruses in the four children that earlier testing had missed. Standard testing failed to detect common everyday viruses: influenza B, a cause of seasonal flu; parechovirus, a mild gastrointestinal and respiratory virus; herpes virus 1, responsible for cold sores in the mouth; and varicella-zoster virus, which causes chickenpox. Additionally, in another group of children with unexplained fevers, standard testing had detected 11 viruses in the eight children evaluated. But the new test found another seven, including a respiratory virus called human adenovirus B type 3A, which usually is harmless, but can cause severe infections in some patients. After assessing all of the data from the study groups the number of viruses detected jumped from 21 using the standard testing method to 32 viruses detected using the ViroCap method—a 52% increase. 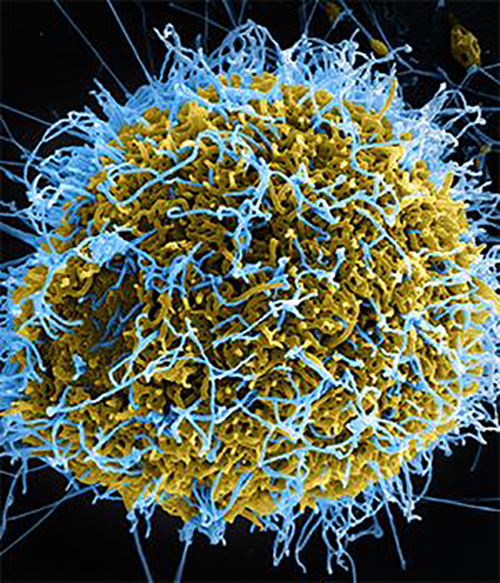 ViroCap targets stretches of DNA or RNA from every known group of viruses that infects humans and animals. In all, the research team included 2 million unique stretches of genetic material from viruses in the test. These stretches of material are used as probes to capture viruses in patient samples that are a genetic match. The matched viral material is then analyzed using high-throughput next-gen sequencing. “It also may be possible to modify the test so that it could be used to detect pathogens other than viruses, including bacteria, fungi, and other microbes, as well as genes that would indicate the pathogen is resistant to treatment with antibiotics or other drugs,” concluded co-author Kristine Wylie, Ph.D., assistant professor of pediatrics at WUSM.